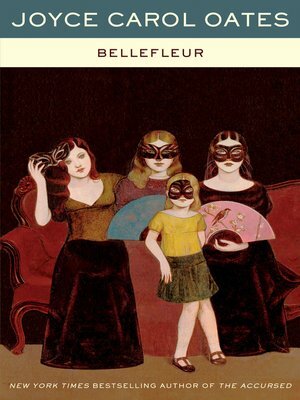 Bellefleur traces the lives of several generations of this unusual family. At its center is Gideon Bellefleur and his imperious, somewhat psychic, very beautiful wife, Leah, their three children (one with frightening psychic abilities), and the servants and relatives, living and dead, who inhabit the mansion and its environs. Their story offers a profound look at the world's changeableness, time and eternity, space and soul, pride and physicality versus love. Bellefleur is an allegory of caritas versus cupiditas, love and selflessness versus pride and selfishness. It is a novel of change, baffling complexity, mystery. Written with a voluptuousness and startling immediacy that transcends Joyce Carol Oates's early works, Bellefleur is widely regarded as a masterwork--a feat of literary genius that forces us "to ask again how anyone can possibly write such books, such absolutely convincing scenes, rousing in us, again and again, the familiar Oates effect, the point of all her art: joyful terror gradually ebbing toward wonder" (John Gardner).